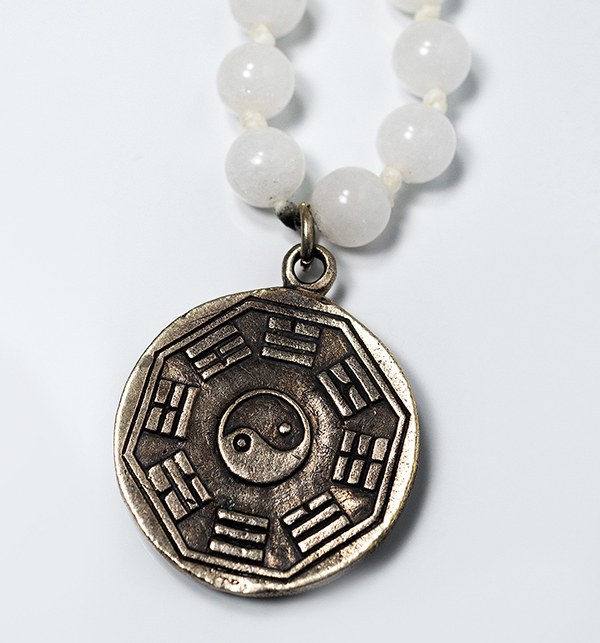 White snowquarz malabeads with brass Buddha of Purification Ying Yang amulet. 108 stone beads, length 60cm. 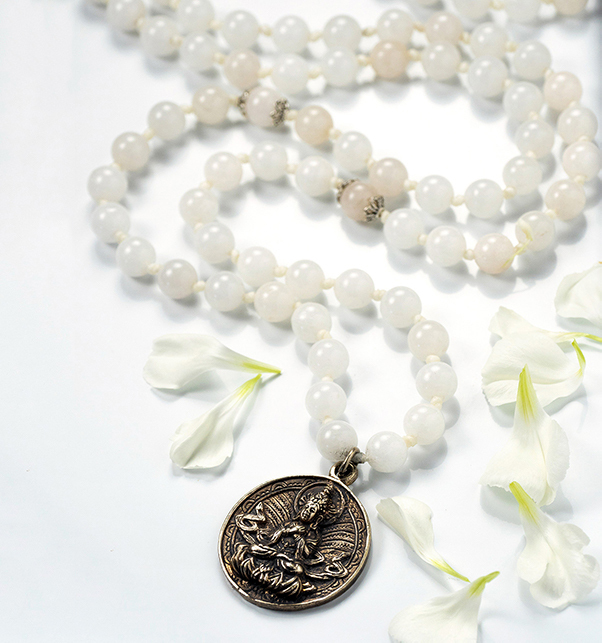 Crystal of good luck and opportunities. Soft feminine energy. Balances yin and yang. 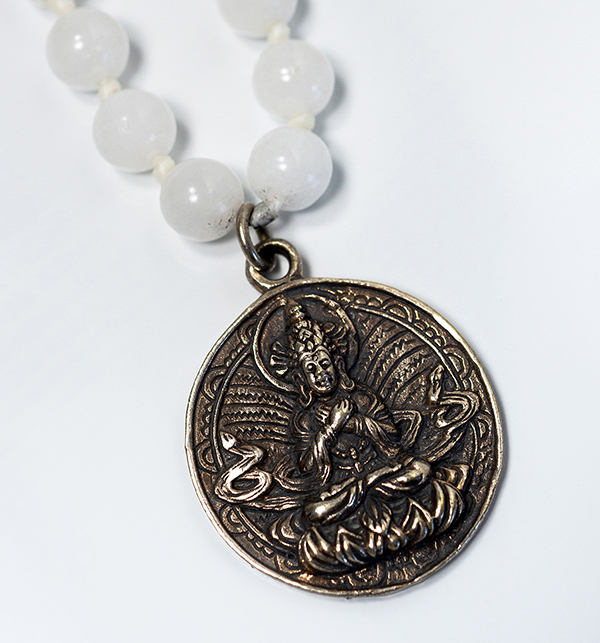 Good for meditation as it has ability to purify the mind. Buddha represents philosophy from Asian culture. Interconnected forces of the universe.